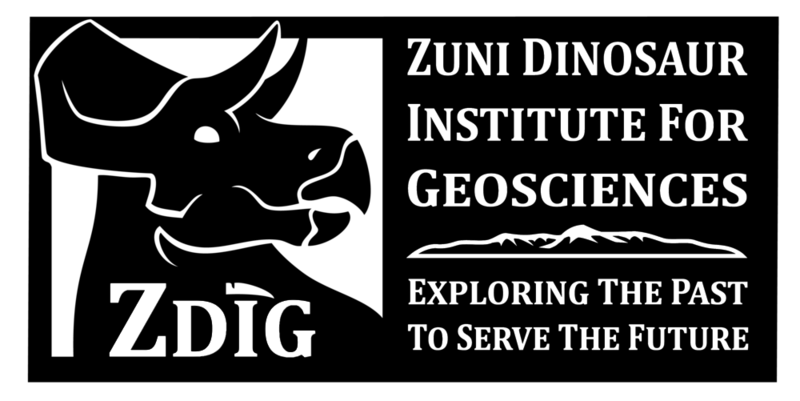 In 2018 Zuni Dinosaur Institute for Geosciences was formed as a AZ Nonprofit (501(c)3) to supercede WMDEC. ZDIG can now take tax deductible donations to enhance our ability to involve students in field research, and take science to students and community members throughout the Southwest. ZDIG is creating a "Dino Mobile" to take the latest discoveries in the Earth Sciences on the road! Please visit www.zdig.org and learn about upcoming research, publications, programs and events, volunteer and field opportunities grants and education initiatives.